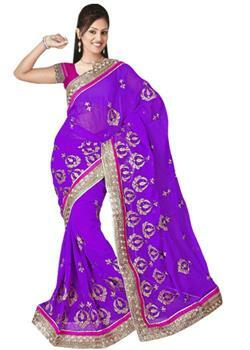 Designer wedding wear ethnic magenta and royal blue half- half saree. 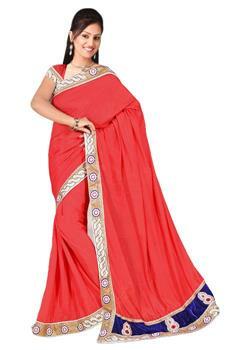 It is having elegant jacquard thousand butta pallu. 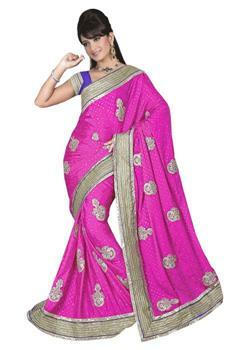 Also it is having rich embroidered pleats which are embellished with the golden thread work, zari, moti /stone work. 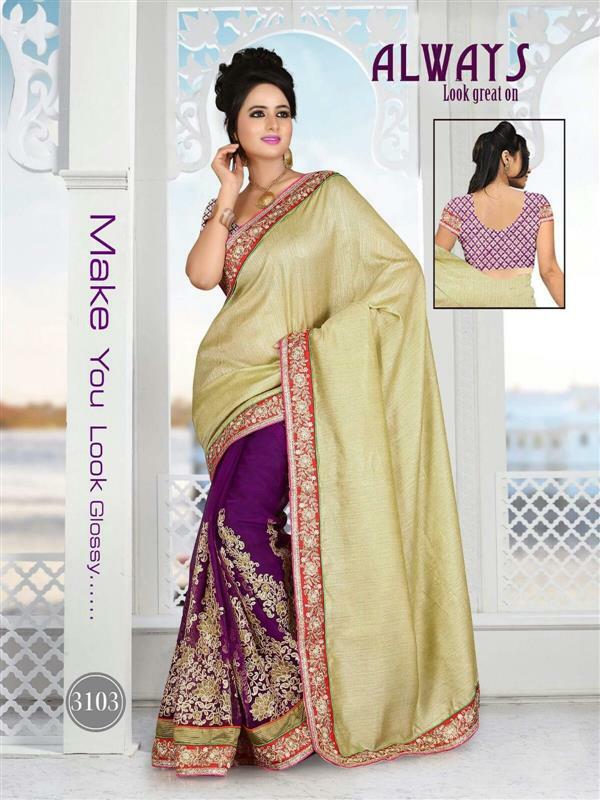 The whole saree is having rich golden border that boost up its look. It is paired with unstitched customized blouse.